In our series of unbiased views and reviews for the books we read and found worth sharing, today I am going to talk a little about a book named A Life to Die For by Nilay Shah. Nilay already wrote a book in Gujarati named “અસંમત” and then in order to reach to broader readership he decided to adopt the same book in English, and this is how “A Life To Die For” came into existence. It is worth to note that the author made some significant change in the plot while adopting the story into English, so it is not just a translation work. As it is said, the first impression lasts, the cover page plays a very important role in establishing the first impression about the book (or for that matter any media) into the reader’s mind. A lot of purchase decisions are also affected by it as well. 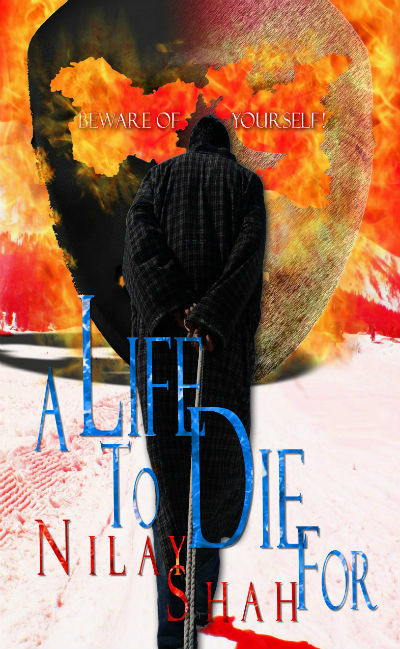 So let us take a look at the cover page of “A Life To Die For”. Once you read the book you will realize that the cover page is well thought. It represents a mask, which belongs to someone playing an important role in the book, and if you look at it carefully you will see a striking resemblance to a state of a well-known country. In addition to the burning mask, you can see a person stood there showing his back, which represents the quest for the identity of him throughout the book. So, the cover page is really well though. However, on the first impression, you may not be impressed with it much. These days book cover with smooth and glossy finish works more. Let us take a bird’s eye view to the plot of the book. I will try to keep as many spoilers as possible to the bay, but some of them are unavoidable. Kashwarg is a heavenly place on the earth. Full of ethereal beauty makes the place so serene. But there is a problem. The state of Kashwarg is put in a tragic state by its leaders. While it is considered as part of Siran as the rulers have decided to join the country. The neighboring country Zayakistan also claim that the state is theirs. A few years ago, due to some political misfires and battle fires, a part of Kashwarg is now Zayakistan occupied. There are some liberation fronts and terror groups act under the command of a mysterious leader who brainwashes the youth to fight against Siran via the act of terror. While the political parties play their role and Siran is putting all its genuine efforts to keep the law and order situation in the state, there are some constitutional rules which rather slow downs the process. The people of the state of Kashwarg are at the losing end in this situation. The economy of the state is taking a dip down. Their main income source was tourism and now due to growing terrorist activities across the state. The only hope they have is a unanimously popular leader of the state, who wants to develop the state technologically. He considers development as the only way to make the lives of Kashwargi people. He acknowledges full support by the president of Siran in the matter. So all seems going well, right? Actually not. A young fellow, considered as a terrorist, somehow got to know about a girl who is abducted and imprisoned in a cabin a long ago. He gets the girl free, but the girl was never exposed to the outer world and her abductor is the only person she knows. She, in fact, didn’t know that outside of the cabin there exists a world! She, however, has heard a lot of stories from her abductor and she is a good sketch artist. She was living in an imagination that someday a prince will come and take her to the heaven. The young fellow is the only other person she saw in years, apart from her abductor, and considers her as her prince charming! Later it is revealed that the young fellow deduced that being known as a terrorist, his life will always be in danger and it is not safe for the girl to stay with him, thus he tips off about it to the police and the girl is now safe. Who abducted the girl? And why? Will Kashwarg see the good days coming? Is there a solution to the terror spread by extremists? Who is the enforcer of anger? How are all these dots connected? And, will it lead to a fine conclusion? Well, you need to read the book to know it. Calling this book just a crime thriller is little unjust. It is actually a psychopolitical thriller, if we may say so. The complex world of mind is explored so brilliantly in this book that you will definitely appreciate the efforts and research put in by Nilay while writing it. It is a complex read and is not intended for a light reading experience. If you have a flair for reading a little complex book which is a long read where twists come one by one until the end, you can go for it. While the places and the people mentioned in the book are given fictional names and the story is represented as a fiction; you can definitely make up about the actual places referred there. As author decided to keep it fictional way, I am also leaving it that way and rather not naming the country or the state or other places which “inspired” its counterparts in the book :). Nilay is in complete control of the threads running through the book for a major part. But, as a reader, you need to remain attentive, as some threads are coming and disappearing and link together in the end again. It is like watching a psychological thriller by Christopher Nolan :). One cannot judge the wrongness of anything by standing in a corner. When it is not about facts, one has to accept the relativity of existences. I know that whatever seems wrong to me, would have seemed right to you. Honestly, I have nothing against your intentions. My job is to do my job. They were confronted by the corpse of Shaban Faqir. No person can be wrong here. Everybody is right in their own opinions. The only time when I can’t catch a lie of my students is when I myself am lying. Revolution is propagated by the intent of the masses, not of the government. It is not always that everything in one’s heart finds a place in his destiny. The unluckiest are some who, despite their love being close to them, are not able to get it. Despite being completely cleaned up, the plate still had something left: three tear drops. … which means that you will no longer be a part of the investigation, but only be the face of it. It is the most addictive poison on this earth –pain! Once you get addicted to being in pain, you can never free yourself again. 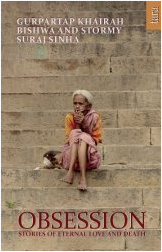 In reality, all our pains and sorrow can end the very moment we stop pitying ourselves! Excessive hatred causes less harm than excessive affection does. Hatred brings suffering only to that what is visible to the eyes, while affection, well, it tears one apart from the inside! No matter which God one believed was responsible for their distress, the only blessing they received were violence and bloodshed. The book builds on and on the suspense and the twists are coming at regular intervals and your expectations from the book keep raising. The end, however, is good but doesn’t fulfill those raised expectations. It is like a Dan Brown book in that sense. The end of the book is a little disappointing to me. Also, I don’t find the rule of economics look much convincing. Also, some chapters don’t connect well. The author is good at exploring characters and he is definitely a talent to look for. And, as he has mentioned in the preface that he has a lot many other stories to tell, we are curious to explore those stories. The way the beauty of the Kashwarg is explored is simply brilliant. Nilay is good at writing the description of surrounding and you will feel that you are visiting the scene. The way the political scenario is explored in the book is not far from reality. Overall, a nicely written book. It is definitely a good psychological thriller setup in a fictional background which is inspired by something real. Of course, all the elements are not connecting well, but the author tried giving a fantastic thriller, and he succeeds at large. The book is meant for adult readers. We would happy to give it at least 7 points out of 10.